Made in China. Johnson makes all styles including soprano, concert, baritone and pineapple shape. Generally laminated mahogany (plywood) construction. 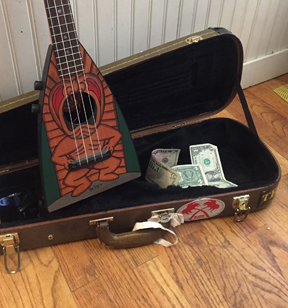 Considered a "Student" Ukulele. Johnson also offers a Metal bodied Resonator Ukulele.